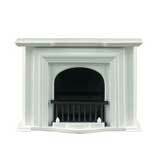 High density casting plaster helps to make this traditional fireplace extremely detailed and very realistic. 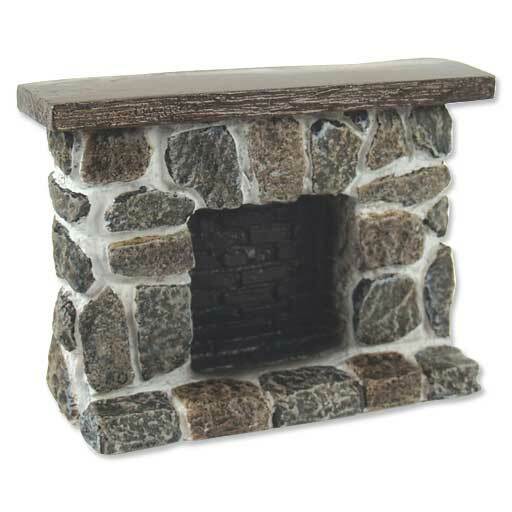 Featuring a raised stone hearth and rustic hewn wooden mantel this unit will add warmth to a cold winter night. This is going to look great in my Den...with my red velvet couch. I was very happy with my product, and it looks lovely in my dollhouse. However, it doesn't sit flush with the wall. You either have a weird, albeit small, gap between the back and the wall, or between the bottom and the floor. Its not really noticeable though. Also the colors in the photo aren't that accurate. The stones on mine all look the same gray color. 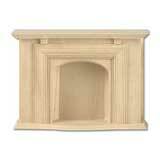 I was so impressed with the quality of this fireplace when I received it. 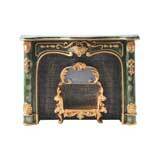 It's going to look terrific in my log cabin! Would highly recommend this product.